Former U.S. Senator Claire McCaskill (D-Mo.) joined the staff of MSNBC as a political commentator. Show co-host Mika Brzezinski announced this to the viewers during an interview with her at 7:00 a.m. ET on Jan. 15, 2019. She said was happy to be at MSNBC. Additionally, she looked forward to bringing her years of experience from working in the Senate, her hard-fought campaigns, and Midwest common sense she will use when presenting political news. McCaskill ended by saying she will do as she has always done, never hold back. Joe Scarborough, who co-hosts “Morning Joe” with his wife Brzezinski, chimed in by saying he was thrilled that McCaskill had joined the team. He feels McCaskill could provide insights into all the happenings of Washington, and help everybody figure out how to bring back the government to a normal state. The former senator’s first story with the network pertained to the government shut down and its ramifications. 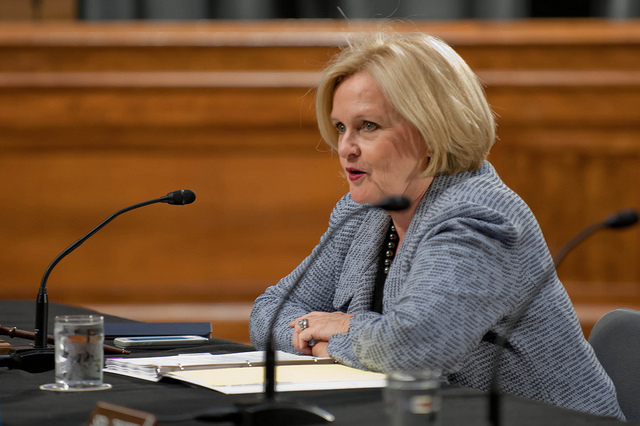 McCaskill will do her first live reporting on January 29, during the network’s coverage of the State of the Union Address. McCaskill was a two-term senator from Missouri. In Nov. 2018, she lost her seat to Josh Hawley the Republican challenger. 2 Responses to "Claire McCaskill Former U.S. Senator Joins NBC News and MSNBC"
Yet another thing is that while looking for a good on the web electronics store, look for online shops that are regularly updated, trying to keep up-to-date with the hottest products, the perfect deals, in addition to helpful information on services and products. This will ensure that you are getting through a shop that stays ahead of the competition and provide you what you need to make knowledgeable, well-informed electronics acquisitions. Thanks for the vital tips I’ve learned from your blog.